If you have a child that loves art, then an ArtVentures birthday party is perfect for you and your family. Parties take place in your home - I come to you! I have done parties in homes (both small and large), community halls, and other special venues. I understand that everyone has a different space and different needs, and am happy to work with you to make your child’s birthday experience a special one. 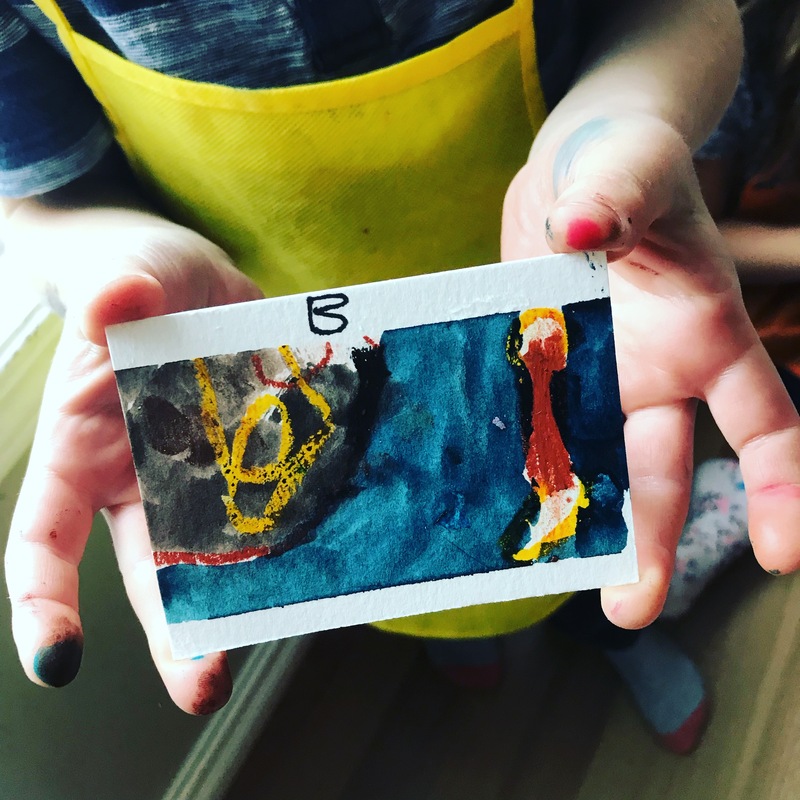 Artist Trading Cards are a fun way to celebrate and is a project that is easy to adapt for any age - from 3 to 103. Make a collection of small scale art works to keep or trade. Party goers will each get a protective sleeve for their nine cards.